Jack Ma, the founder and executive chairman of China's online marketplace Alibaba, said one reason his company is so successful is that he hires a lot of ladies. "One of secret sauces of Alibaba is we have a lot of women," he said, adding 47 percent of his overall staff and 33 percent of people in senior roles are women, according to The Hollywood Reporter. Ma made the comments earlier Friday at the World Economic Forum in Davos, Switzerland. "Women think about others more than themselves," which is key for Alibaba and its ability to serve users, he said. The e-commerce juggernaut Alibaba Group raised more than $21 billion in its initial stock sale in September last year. As an example of Alibaba's hiring practices, American-educated Zhang Wei was relocating from Shanghai to Los Angeles to head an Alibaba office as it makes a much-watched incursion into Hollywood, The Hollywood Reporter noted back in November. Ma also revealed a bit of his Hollywood ambitions during the Davos session. He was interviewed by journalist Charlie Rose. The company has begun its first project at its Alibaba Pictures film unit. 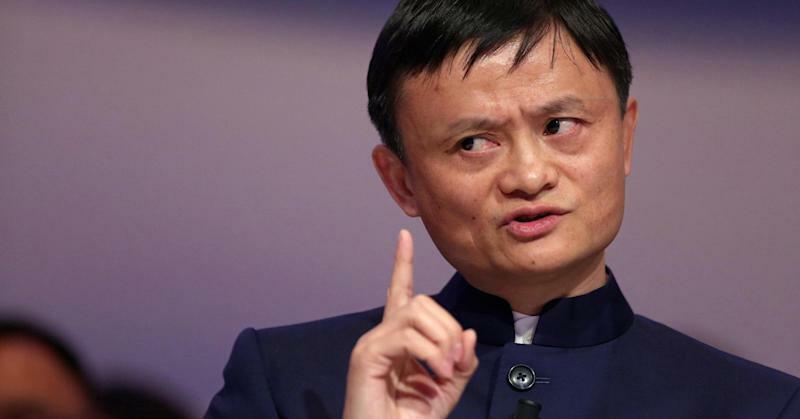 Alibaba and other wealthy Chinese investors recently have been making rounds in Tinseltown. Chinese investment in U.S. entertainment, including film, is growing. Ma added his curiosity about films stems from a desire to change how people in China view heroes and heroism. "In American movies, all the heroes at the beginning look like a bad guy," Ma said. "A terrible thing is coming, they become a hero, and they all survive. In China, if you are the hero, all the heroes die ... so nobody wants to be the hero. Today we have so many heroes who live in this world," said Ma, according to The Hollywood Reporter. He didn't provide further details on the company's film strategy. Read the full story Read Morehere.